Let's get one thing straight: I'm not a sap. I rolled my eyes through The Notebook, tapped my foot impatiently at the end of Titanic, and burst out in an inappropriately-timed snort during a particularly romantic scene in Jerry Maguire. So yeah, it takes a lot to make me well up--to acknowledge the push behind my eyes and do nothing to stop fat tears from leaking out the sides because I'm so happy or sad that I need a release. Crying with abandon: not my bag at all. But this book. *points accusatorially* THIS BOOK I CANNOT. I'm a wreck. Exhausted. Beyond frustrated that I have to wait almost an entire year for the next one. And here's a devastating fact: I hadn't known this was a planned trilogy! 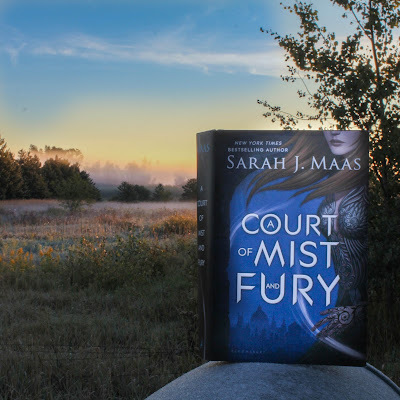 I heard Mist and Fury described as a sequel, and because I don't read reviews beforehand, I was expecting the end of the story. But it's not the end! This was only book two! BOOK TWO OF THREE! OH MY GOD THE AGONY. I can't stop using all caps, guys. I JUST CAN'T. 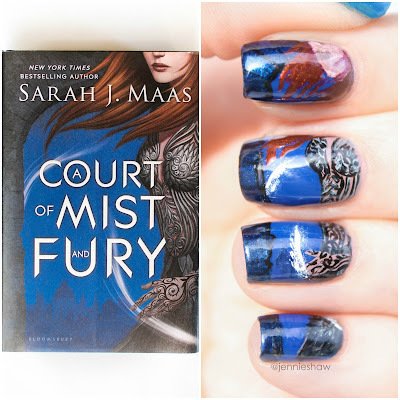 I'm not exaggerating one bit when I say that I sobbed my way through no less than 78% of A COURT OF MIST AND FURY. In fact, I had to put it down for breathers. I can't think of a single emotion I didn't experience and because everything was heightened, my irritatingly uncontrollable weeping was unstoppable. Naturally, I'm not going to tell you why, but rest assured, it was touching and uplifting and tragic and so beautifully written that my grinch-y heart didn't stand a chance. Maybe it's because I read the first and second so close together, but I fell into the Fae world so completely that I feel as if I've lost something. I actually can't remember feeling such an ache before--a true book hangover--to the point that I sprinted to Etsy to purchase a candle that smells like a certain character. Yes, that's how badly I want to be a part of the story. I purchased an extraordinarily expensive candle so I could make my house smell like a fictional character. A first for me, that's for sure. If I wasn't already completely comfortable with my level of nerdiness, I'd never admit that. But I legit I need more ACOMAF because my feels have overtaken my level-headed pragmatism and I've been left like an Illyrian without wings. If you haven't read either of the Court books, you obviously won't get the reference but from this moment onwards, I will speak in the manner of the Fae. Because these are my people, and I'll be with them until the end, even though said end is so far away that another Starfall will have occurred. Oh, are you feeling left out because I made another Prythian remark you don't understand? Do yourself a major favour and start reading these so you can be hip to my jive (even if it's only in exchange for me never using "hip to my jive" again. Haha!). So who else has read these first two books? Please message me and we can talk about the feels!! THE OVERWHELMING AMOUNT OF FEELS. And if you wondered about the reason I didn't include the back jacket description, by definition, it had some spoilers from A COURT OF THORNS AND ROSES so don't read it online! JUST DON'T. But for reals people. 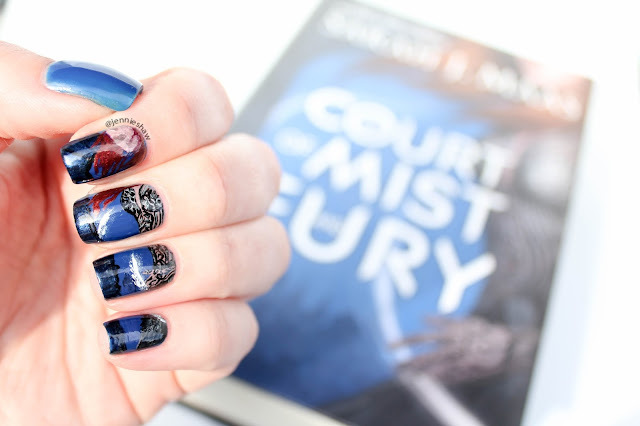 Please, please, please read these books so we can commiserate! Tools - piCture pOlish nail art brush no.10, triangular makeup sponge, and a trimmed striping brush. 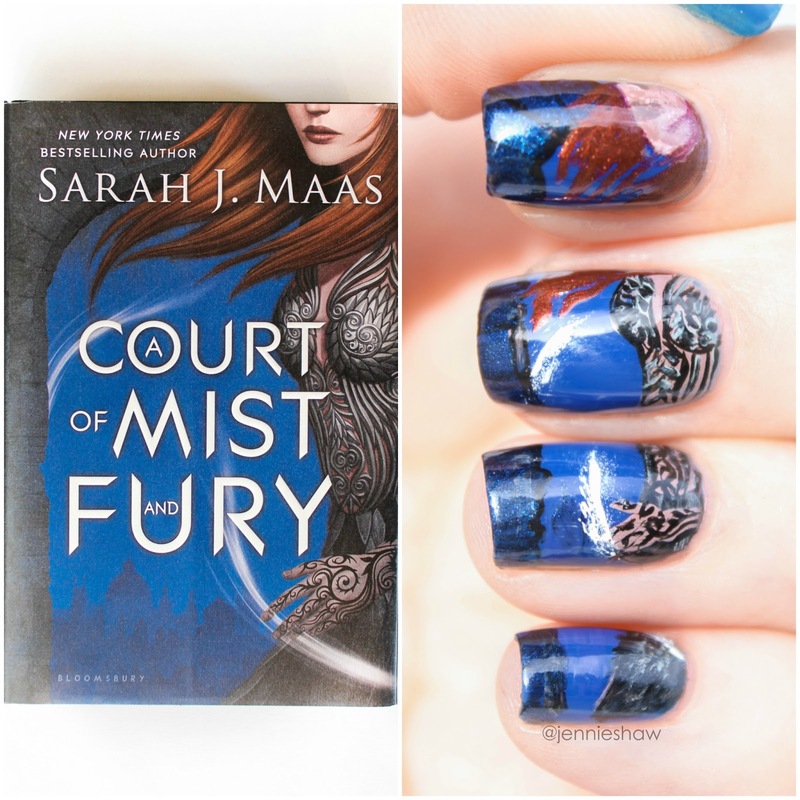 And for more, non-book-related manis, check out my IG account! Yeh, I love him too. And that scene at the Court - you know the one - WHOA.